Local model Dhyaan Kumar also known as Don Savania. 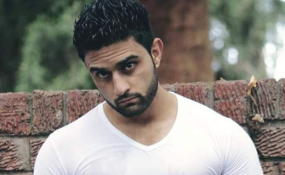 Local male model Dhyaan Kumar, affectionately known as Don Savania, has voiced concern over the lack of support and appreciation for males in the industry. Despite clinching many awards at the Zimbabwe Model Awards over the past years, Savania believes it is still hard for males to get permanent contracts compared to female models. Savania, who is of Hindu origin, was voted as Most Talented model last year. He has done shoots for local fashion powerhouses and appeared on promotional materials, but says all this was not enough. In an interview with The Herald Arts, Savania said modelling is a career just like being a doctor or teacher. As such, he said, male models should be treated like their female counterparts when it comes to contracts. "We find it hard to penetrate the industry. If you do not know anyone, or any agency has pushed you then you won't get contracts. Yes, as male models we have agencies that push our brands, but again the challenge is on contractors who sometimes think modelling is only about women. We agree that women sell, but the industry has males too who want to survive through modelling," he said. He emphasised the importance of exposure in the industry. "We want permanent contracts just like what they do with women. Look what happens in other countries like South Africa, Ghana, Nigeria, United Kingdom and United States. Male models are making it big because of exposure and opportunities." The 27- year old said stakeholders, corporates and the public should be educated about how the modelling industry runs. "Some male models fear to be out there because of stereotypes. We can earn a living through modelling. However, the economic challenges also affect our industry. We need to educate clients first before committing to work," he added. Savania who is also an actor said he was inspired by Bollywood superstar Salman Khan. "Khan does not only inspire me as an actor but is also doing lot of charity work, which I also want to follow. I am an actor too and have three local movies which I have starred in."